Nearly all Americans say Russian meddling in the 2018 midterm elections would be unacceptable, even if their party was the beneficiary of any interference. But the investigation into Russian meddling in the 2016 campaign remains a divisive political issue, with Republicans more likely to doubt the FBI and U.S. intelligence agencies and more likely to back the president, a new CBS News poll found. Half of Republicans say that hearing criticisms of President Trump on the Russia issue makes them want to defend him more. Another 42 percent say they want to wait to see what the facts show. Seventy percent of Republicans call the Russia investigation a "witch hunt," while Democrats call it a "critical" matter of national security (77 percent). Democrats, however, say they believe the issue speaks to the president's character (79 percent) as well as national security, but Republicans disagree, seeing it as a deliberate attempt to slow the president's agenda (81 percent) and feeling he is facing more resistance from the political establishment than other presidents have (86 percent). CBS News' Elections and Survey's Director Anthony Salvanto reports that this speaks to how Trump's strongest backers feel such a personal connection with the president and want to defend him against what they perceive as being a politically motivated witch hunt. "In principle, people are not ok with this (Russian meddling) but there's a difference between that principle they tell us, and what a lot of Republicans see as unfair criticism of the president. The president they think is facing more pushback from the establishment than other presidents have, that's how they see it," Salvanto told CBS' "Face the Nation" on Sunday. The defense comes after more than a week of walk-backs from the White House over the president's summit with Russian President Vladimir Putin, a meeting that sparked widespread backlash from Republicans and Democrats alike. Mr. Trump's failure to publicly denounce Putin's role in the 2016 election caused concern across the political world, leading many to question if the president had more faith in a known U.S. adversary than his own intelligence chiefs. 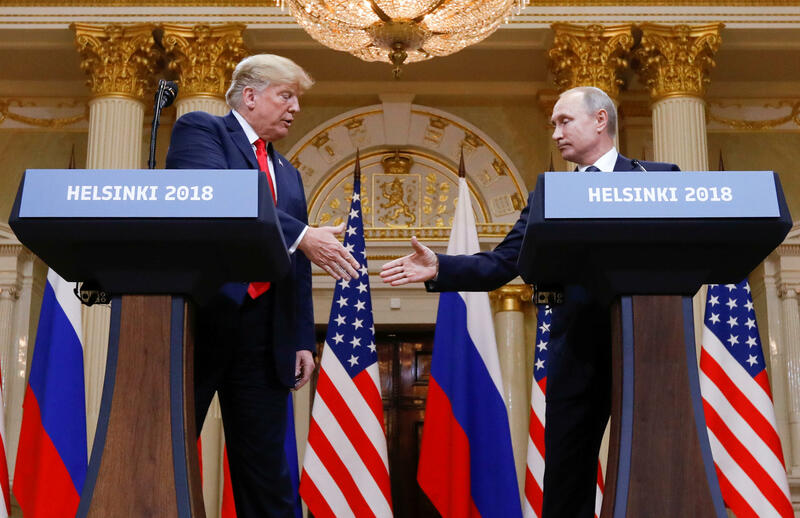 A previous CBS News poll conducted just after the Helsinki summit showed that only a third of Americans (32 percent) approved of the way Mr. Trump handled his summit Putin. Sixty-eight percent of Republicans approved. Meanwhile, Republicans are less likely than Democrats and independents to express any sort of confidence in the FBI and half as likely as Democrats to express a lot of confidence in the intelligence community. Comparatively, few Republicans (5 percent) expressed much confidence in the mainstream media -- a common talking point the president often cites as being behind the so-called "witch hunt."